The Superior Court has just decided the case of Commonwealth v. Lewis, holding that Pennsylvania’s Drug Overdose Response Immunity statute provides immunity for both the reporter of a drug overdose and the victim of a drug overdose, so long as the conditions of the statute are met. It also applies even where the victim of the overdose makes the call for help themselves and there is no separate reporter. Pennsylvania’s drug overdose immunity statute is very limited and does not provide immunity against serious felony charges, but this is a good opinion which encourages people who may be in the middle of a drug overdose to seek help instead of worrying about whether they will be arrested for minor drug offenses. In Lewis, the defendant called 911 from her hotel room to report that she had overdosed on prescription pills. Police responded and took her to the hospital. While assisting her, police saw more pills and paraphernalia for smoking marijuana in her room. The police questioned her about the drugs, and she admitted that they belonged to her and that she smokes marijuana. Lewis received treatment at the hospital and recovered. Prosecutors, of course, charged her with possession of drug paraphernalia. Prior to trial, Lewis moved to dismiss the charges, claiming immunity to prosecution under the Drug Overdose Response Immunity statute. The trial court denied the motion. The trial court ruled that the act did not apply to her case because 1) Lewis did not actually need immediate medical attention, and 2) the Act did not apply to self-reported overdose victims. The court ultimately convicted Lewis of drug paraphernalia in a bench trial and sentenced her to three months’ probation. Lewis appealed, arguing that the court should have granted her motion to dismiss because she was immune to prosecution under the act. What is the Drug Overdose Response Immunity Act? Pennsylvania has a very limited statute which seeks to encourage people who observe someone else in the middle of a drug overdose to call for help instead of worrying about criminal prosecution. In order to further this goal, it provides immunity to prosecution for minor drug offenses such as the knowing and intentional possession of a controlled substance for personal use and possession of drug paraphernalia. It also provides immunity against violations of probation and parole. Notably, it does not provide immunity to serious offenses. For example, the statute does not provide immunity to Possession with the Intent to Deliver charges or the extremely serious and increasingly-prosecuted homicide charges of Drug Delivery Resulting in Death. Can I be prosecuted if I call for help for a friend who is overdosing? the person remained with the person needing immediate medical attention until a law enforcement officer, a campus security officer or emergency services personnel arrived. Persons experiencing drug overdose events may not be charged and shall be immune from prosecution as provided in subsection (b) if a person who transported or reported and remained with them may not be charged and is entitled to immunity under this section. The statute has a good purpose, but it does not protect you if you call in an overdose and have potential criminal liability for drug distribution or drug delivery resulting in death. The issue in this case arose because the plain language of the statute seems to imply that a second person has called in the drug overdose on behalf of the victim. It does not directly address what should happen when there is no second person and it is the victim themselves making the phone call for help. The Superior Court, seeking to encourage more people to seek help instead of worrying about whether they will face minor drug possession charges, held that the statute did protect the defendant in this case. The Court noticed that the Act does implicitly condition the grant of immunity on the presence of two parties: a reporter and a victim. However, the Court found that the implicit requirement was unintended. The Act does not explicitly provide immunity for self-reporters, but excluding self-reporters from the immunity granted by the Act would result in an absurd result. Under the trial court’s reasoning, Lewis would not be immune because she called 911 herself. Had she called a neighbor and asked a neighbor to call 911, Lewis would have been immune had the neighbor done so and otherwise complied with the requirements of the statute. The Superior Court recognized that the Legislature likely did not intend this absurd result, and therefore the Act should be interpreted to apply in situations such as this where the victim and the reporter were the same person. The Court also found that the trial court was too strict in interpreting the requirement that the person actually needed immediate medical attention. Instead, the Court ruled that the person must only reasonably believe that they need immediate medical attention to avoid serious bodily injury or death. Here, there was no evidence that Lewis’s belief was unreasonable. Accordingly, the Act applied and prevented her prosecution for drug paraphernalia charges. The Superior Court reversed the conviction. If you are facing criminal charges, we can help. 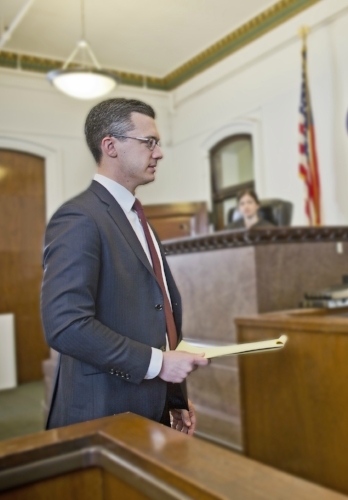 Our Philadelphia criminal defense lawyers have successfully defended thousands of cases in state and federal courts throughout Pennsylvania and New Jersey. We offer a complimentary 15-minute criminal defense strategy session to any potential client who is facing criminal charges or who may be under investigation by law enforcement. Call 267-225-2545 to speak with an experienced and understanding defense attorney today.